Humans have benefited greatly from a stable climate for the last 11,000 years (roughly 400 human generations). Not anymore. We now face an angry climate -- one that we have poked in the eye with our fossil fuel stick -- and have to deal with the consequences. We must set aside our differences and prepare for what we can no longer avoid: massive disruption to our civilization." My prediction above was based on understanding of the inter-related Artic/climatic system obtained through in-depth research conducted as part of my Ph.D. studies on abrupt climate change, and through my academic work as part-time professor in climatology/meteorology at the University of Ottawa. In March, when I made the prediction, NASA had just released a video of extensive sea ice cracking (at the time of year when the ice should’ve been at its strongest). Since then, I have become even more confident about my prediction of total Arctic sea ice destruction in 2013. 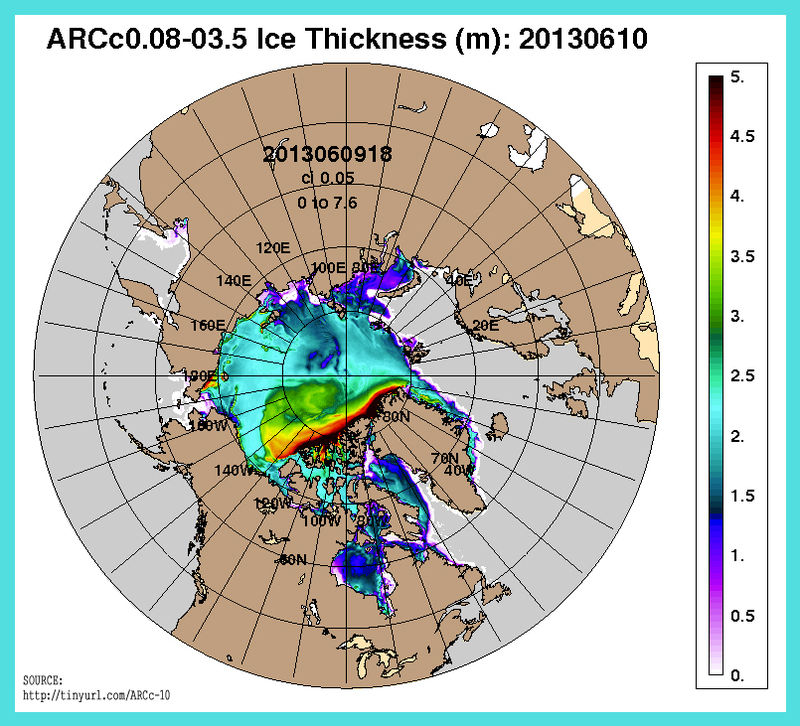 The increased likelihood of this event arises from recent developments observed in U.S. Navy satellite data (which measure sea ice thickness alongside ice speed and drift direction from May 14th to June 10th). I generated an ANIMATION to help illustrate the significance of the new data. In previous years, when cyclones (low pressure storm systems) moved over sea ice, there was little noticeable effect. However, last August (2012) -- like a giant blender -- a massive cyclone invaded the Arctic Ocean basin and smashed around sea ice for roughly 8 days. In the end, a staggering 0.8 million square kilometres of sea ice was lost (a roughly 20% reduction from the year before). 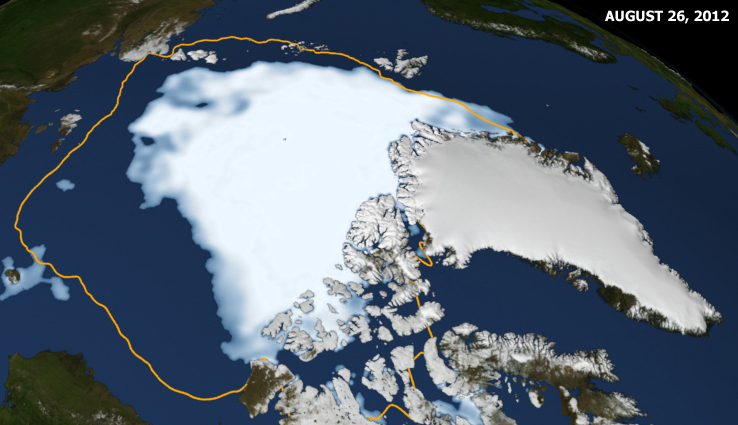 By mid-September the icecap was at a record low volume (best illustrated in this YouTube video titled “Arctic sea ice minimum volumes 1979-2012”). Within the last few weeks, cyclonic activity has returned and once again caused substantial thinning and weakening of the sea ice near the North Pole. Ice near the center of cyclonic activity, recently 2 to 2.5 metres thick (light blue in my animation), has thinned to roughly 1.25 metres (dark blue in my animation). This in less than 2 weeks: unprecedented so early in the melt season. 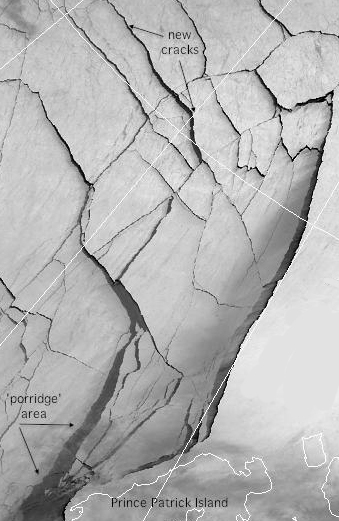 More significantly, in the last few days a gaping “hole” has appeared in the much thicker ice just north of the Canadian Arctic Archipelago. Ice that was recently 3.5 to 4 metres thick (yellow in my animation) is now less than 2 metres thick in the hole. The hole is likely due to a combination of divergence of the ice away from the rotating cyclone center, and the upwelling (churning up) of warm, salty sea water below. The most rapid melting and ice deterioration is occurring below the surface (where the cold surface air temperature can’t slow melting). The magnitude of the most recent cyclonic activity is not unusual, although the persistence is. What is also new in the equation is the ability of these common cyclones to degrade the ice, and do so very early in the melt season. Also new is the substantial increase in amplitude, frequency and duration of cyclonic activity in the Arctic Ocean basin. The thinning ice cover not only breaks up easier now (even by relatively small and weak cyclones), more open water leads to an increase in melting and storm intensity. It’s for all these reasons I find it extremely difficult to comprehend how any sea ice will be left after this year’s summer ‘melt season’. If you want to watch the car-crash in real-time just occasionally Google “Arctic sea ice graphs” and you can find satellite imagery and daily updates from experts and climatologists (like me) around the world. I acknowledge that my sea ice-collapse timeframe is considered ‘out-there’ when compared to mainstream climate models (predicting sea ice will remain until 2050’ish), but I’m not alone in challenging the old playbook. For example, the Pan-Arctic Ice Ocean Modeling and Assimilation System (PIOMAS) volume trends suggest 2015 or 2016 will be the first year of a sea ice-free Arctic. 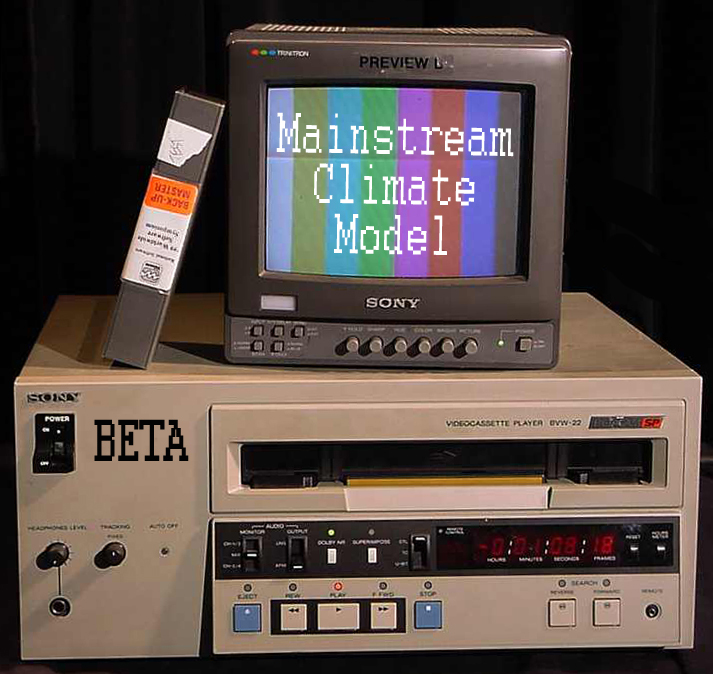 I am just looking at the “big-picture” using all available data while considering feedbacks that have been incorrectly considered (or unidentified) and in the context of abrupt changes that are CLEARLY documented in climate paleorecords. I really hope I’m wrong folks but I just don’t see it any other way. Time will tell…but, in any event, we need to have that ‘adult discussion’ ASAP. As you can see around you the times they are a-changin’ and, as I wrote in my last blog, oil profits won’t protect you from Climate 2.0. 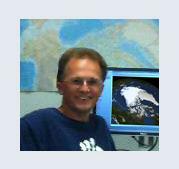 Paul Beckwith is a Ph.D. student with the laboratory for paleoclimatology and climatology, department of geography, University of Ottawa. and Receive a Charitable Tax Receipt!